Show Me The Movies: Oscars 2018 - My picks and predicted winners list! 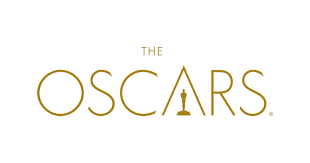 Oscars 2018 - My picks and predicted winners list! A real strong field for this one with little or no duds to be seen. I,Tonya, The Florida Project and Mudbound may feel aggrieved not to feature but the quality is both diverse and full of high quality productions. On any other year Dunkirk or to a lesser extent The Post would be the film to have the Academy drooling over but Martin McDonagh and Guillermo Del Toro had other ideas and seems a straight shoot out between their two magnificent movies Three Billboards Outside Ebbing Missouri and The Shape of Water with Three Billboards just edging it! A bit of an open and shut case with this one with Gary Oldman almost certain to add to his Golden Globe and BAFTA with a first time Academy Award. With Daniel Day-Lewis the closest competitor (and on another year would almost certainly win) this one is undoubtedly heading for Oldman's mantelpiece for a film saving performance in Darkest Hour. With an incredibly strong field (with performances that dwarf those of their male counterparts) this is another two way race with Frances McDormand and our own Saoirse Ronan vying for top spot. Sally Hawkins and Margot Robbie were also incredible in their performances and what is Oscar night without record breaker Meryl Streep again being nominated (and deservedly so) but I fear in this category despite a fine portrayal in Greta Gerwig's Lady Bird Saoirse Ronan will lose out to the tour de force that is Frances McDormand in Three Billboards Outside Ebbing Missouri. Another strong list here with two coming from Martin McDonagh's Three Billboards Outside Ebbing Missouri. Willem Dafoe's wonderfully understated performance in the Florida Project could have half a chance but I feel despite the negative kick back it would be nothing short of a catastrophe if Sam Rockwell didn't take home his first Academy Award come March 4th. In what could be billed as the "Battle of the Moms" this category is a duel between Laurie Metcalf for Lady Bird and Allison Janney for I, Tonya. Janney is fantastic as the hate filled LaVona in I, Tonya and will probably add the Oscar to her Golden Globe and BAFTA wins but for me, Metcalf's complex performance is more worthy of an Academy Award but alas she may just come up short! I still can't quite comprehend how Denis Villeneuve, Martin McDonagh and Sean Baker didn't make this list and it's hard to believe that despite his strong back catalogue that this is Christopher Nolan's first nomination and on any other year this would certainly be his award to lose. There is however, a lot of love for Guillermo Del Toro for what is a beautiful looking film in Shape of Water and I would expect him to lift his first Oscar come awards night.